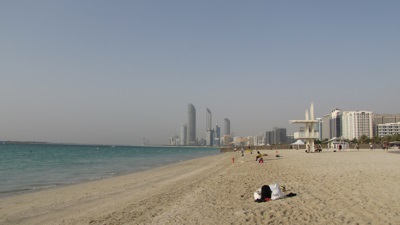 Welcome to Travel Guide 2 UAE, the site about travel, tourism and vacations in the United Arab Emirates. The United Arab Emirates (Arabic: Al-Imarat al-'Arabiyyah al-Muttahidah) is a federation of seven small countries ("emirates") located in the Arabian Peninsula on the southern shore of the Persian Gulf. The emirates are Abu Dhabi, Ajman, Dubai, Fujairah, Ras al-Khaimah, Sharjah, and Umm al-Quwain. 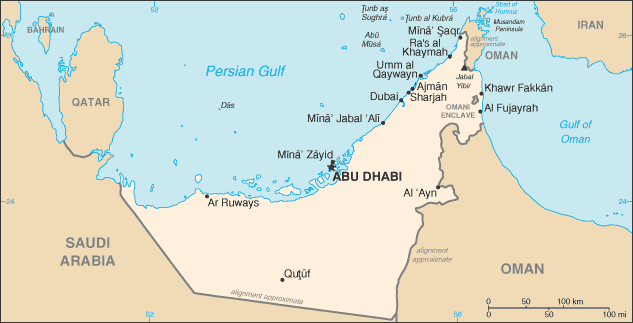 The United Arab Emirates borders Saudi Arabia and Oman, and contained within the UAE is an Omani enclave ("Wadi Madha") that covers approximately 29 square miles (75 km2), and contained within that enclave is a tiny United Arab Emirates exclave ("Nahwa") which is part of the Emirate of Sharjah. Additionally, five of the seven emirates have exclaves in addition to their main territories, and there are two areas under joint control - one controlled by Oman and Ajman, and the other controlled by Fujairah and Sharjah. As of 2005, the United Arab Emirates had a total population estimated at 4,496,000. Over 85% of the population are non-citizens, many from South Asia, especially India and Pakistan. The United Arab Emirates has one of the fastest, perhaps the fastest, growing economy in the world. Historically, oil and natural gas exports were the main sources of revenue, especially for Abu Dhabi, and while these are still important, the economy is now increasingly diversifying into manufacturing, services and tourism. 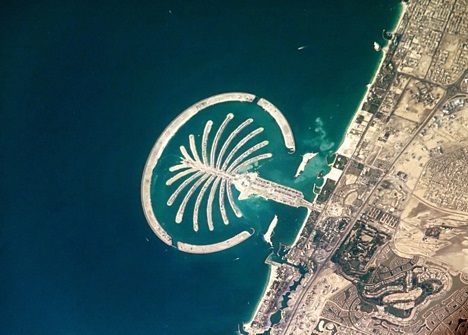 There is also a massive ongoing construction boom especially in Dubai.